Desk Drawer (248/365 v2.0) – Annoyingly Boring? End of the night at work I opened my drawer and I decided the world needed to see what I saw. Yes, I know what you are thinking. And let me tell you… It’s not easy being this boring! .-= Jérôme Aoustin´s last blog ..Project 365 – Day 62 =-. I honestly thought that was a decapitated head in our drawer for a second. .-= Dan´s last blog ..Aspirations =-. Not boring to me–I have that “snooper” thing going on, if I was there in person, I would have that drawer open the minute you turned your back! thanks for the little glimpse of you. Awesome blog — just found you from I Do Things. She did a great review for us. 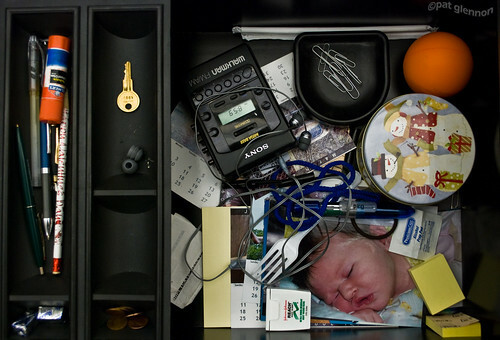 Is than actual walkman in your desk drawer? If you ever like to work together just let me know. Rock on.